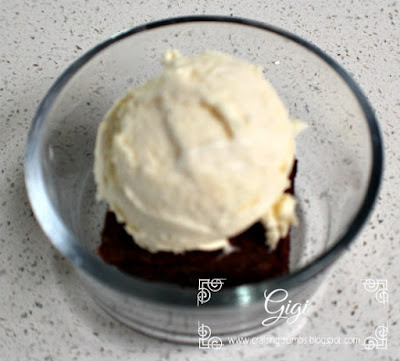 "Cake" and Ice Cream Treat - gluten free! There is nothing earth shattering about this recipe. People have been putting ice cream on cake for decades - maybe even centuries! Why not?!? And substituting a brownie for cake is not a new idea either. But.....you knew there was a "but" coming....... making a gluten free chewy brownie that is the most delicious thing ever on its own, and THEN topping it with homemade ice cream is indeed a wonderful . 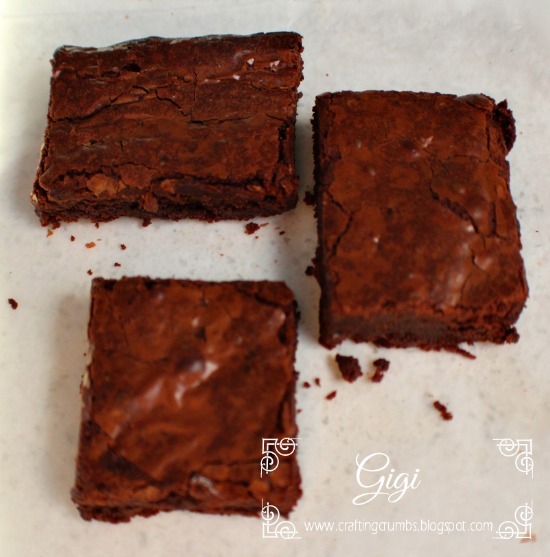 These brownies are so good - even if you are not gluten free, you will love them. They have NO flour in them at all, and no refined sugar. So how could they be good? Well I don't know, but they are! My neighbors are my taste testers and they said these are the best brownies they have EVER had. Seriously - the BEST EVER!!!! I was so delighted. So they are delicious AND good for you - a real success in my book! These turned out a bit thin because they needed to bake in an 8x8" pan and all I had was a 9" square - but even that did not diminish the flavor - they are just a little on the skinny side! After I passed out samples, I packaged the rest and put them in the fridge - and quite honestly forgot about them. I know - it's hard to imagine but I did....that is until tonight. 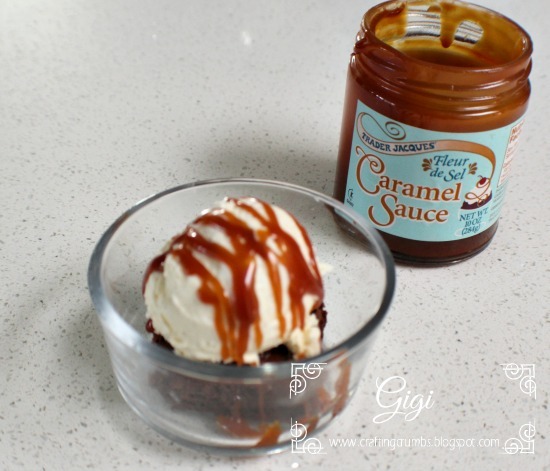 I decided to send dessert to one of my neighbors, so I put one of the brownies in a glass custard cup, topped it with a scoop of homemade vanilla ice cream, and drizzled slightly warmed Trader Joe's caramel sauce over the top. It looked beautiful and it was enjoyed with rave reviews. Place the coconut oil and chocolate into a small saucepan and heat over low heat until they wre melted. Stir continuously so the chocolate doesn't burn. When melted, remove from the heat. to cool slightly. Beat together the eggs, coconut sugar and vanilla for about 2 minutes or until the mixture becomes smooth and pale. Add the melted chocolate mixture and mix until well combined. Reduce the speed to low and add the cacao powder, arrowroot powder and salt, mixing until well combined and scraping down the sides as needed. The batter will be thick and smooth. Pour the batter into the prepared pan, spreading it evenly with a greased spatula. Bake for 25-30 minutes, until the center is set. 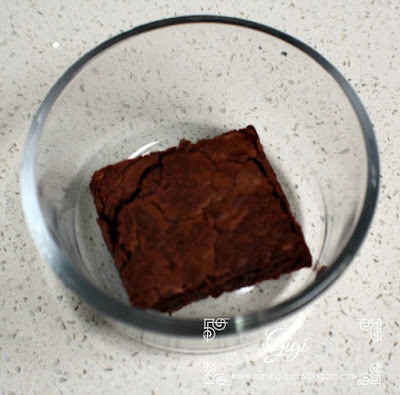 Remove from the oven and let the brownies cool in the pan for about 15 minutes, then move to a wire rack to cool completely.. Store the brownies in an airtight container at room temperature for up to 5 days, or freeze for longer. And remember, you can get creative with these brownies and add your favorite ice cream on top to make them a special occasion. And let's face it - every day is worth celebrating, right?!!? I have been wanting to try this idea for a long time and with the temperatures beginning to climb this week (and my ice cream supply in the freezer at an all time low) - well - there was no time like the present. 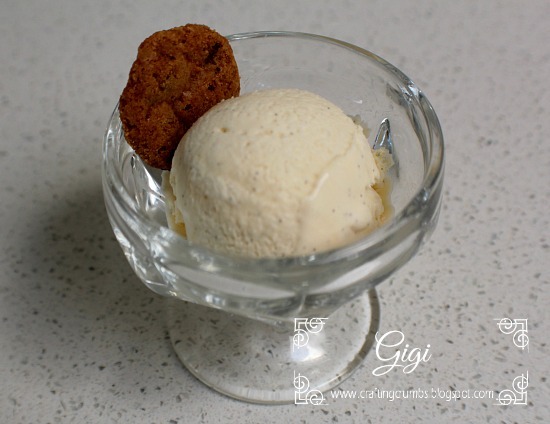 So the no churn ice cream is nothing new on this blog - or on most blogs. It is clearly something people are happily embracing and enjoying. But I wanted to work toward a "healthier" version and this is step 1. Instead of using sweetened condensed milk, I used coconut sweetened condensed milk. The downside of this product is that it is made with cane sugar, and I am trying so hard to eliminate refined sugars from my diet. That is why this ice cream is step 1. It is super easy to make your own coconut sweetened condensed milk. I have found recipes using full fat coconut milk and either honey, coconut sugar or maple syrup. It does however need to simmer on the stove top for a long time. But that would be an easy project to do in the evening. 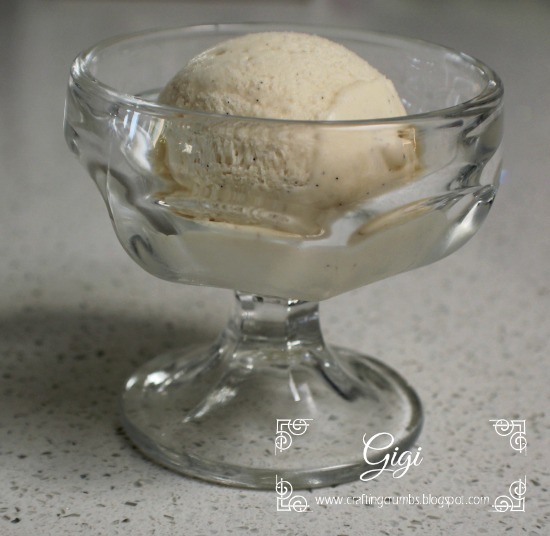 So I am going to make all three varieties (depending on reviews out there and other ideas), and then try them with a basic no churn vanilla recipe and see which delivers the best flavor. This will definitely be a fun experiment and I hope to end up with a tasty, "healthier" ice cream. Once I have the base, then I can play around with flavor. Such fun! Always chill a mixing bowl and beaters in the freezer for at least a few hours - overnight is even better. In a small bowl, combine the coconut condensed milk and vanilla bean paste and set aside. Pour the pint on heavy cream in the chilled bowl and beat on high for about 3 minutes - until soft peaks form. Fold in the coconut condensed milk mixture and nix well. Pour into ice cream freezer container and freeze for at least 4 hours before serving. This is so creamy and good. But, I DO have a mini "cake and ice cream" recipe WITH photos to share soon - it got a big thumbs up from the neighbors!